Can Dogs Eat Cabbage? Is Cabbage Good Or Bad For Dogs? Today’s question: can dogs eat cabbage? Is cabbage bad or good for dogs? Scroll down for detailed answers. Cabbage is a lovely veggie that may be enjoyed many different ways. Close to the look, feel, and texture of lettuce, cabbage is a leafy veggie from the cruciferous family. Easily grown, and low in cost and readily available, cabbage can be added to many recipes and stews without much notice by those who are eating. Cabbage rolls are also especially enjoyed by most and much anticipated comfort food. With cabbage easy to grow, easy to make, and easy to tolerate, cabbage is a go-to food for many. With humans eating cabbage regularly and wishing to add the veggie in their diet as a staple, this good- for-you leafy green can be offered to most anyone at the table. When people who enjoy cabbage wish to share the love of the green, many may wonder if the leaf is safe for dogs. Dogs eat most any food offered, but do dogs like cabbage, and are cabbage safe? Does your furry pet like to beg for food whenever you eat some? Do you resist his puppy-eyed look or do you give in and offer him a piece? Have you ever wondered if dogs can eat vegetables? Particularly, can dogs eat cabbage? It is safe to say that dogs can eat cabbage. Whether offered as a green treat, chopped and sprinkled on their food, or baked and stuffed with kibble, dogs are free to enjoy cabbage just as their human counterparts. Cabbage presents a wide range of health benefits for dogs as well. Keep on reading to find out more info on this subject. Can Dogs Eat Any Color of Cabbage? The short answer is yes. Dogs can eat cabbage in moderation. Cabbage is a nutritious treat for your furry pet; it genuinely provides him/her with numerous vitamins and minerals. 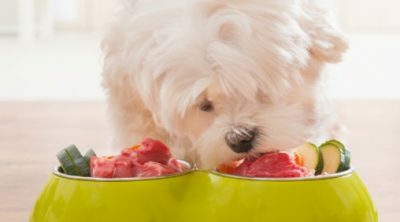 Dog food generally offers all of the nutrition your particular dog needs, but you wish to up their vitamin intake or attempt to create a more raw food diet that emulates yours. While raw veggies are okay for dogs to have in small quantities, the veggies should be cooked and softened before offering your dog. Some dogs may be able to tolerate raw veggies without issue; some dogs may have a hard time digesting raw foods properly. Dogs are not meant to eat veggies, certainly not raw veggies in large quantities, therefore their digestive system may view raw cabbage as a threat and quickly expel through the digestive system. This process will not be pleasant for you or the dog, so simply warming the cabbage up for your dog may do you both a big favor. Cooking the vegetables is better than offering raw so that you are able to avoid possible stomach problems. Now, cooking veggies is said to release many of the vitamins and nutrients needed. However, sacrificing on some vitamins may be better for your dog than the risk of not digesting the cabbage properly. Next time when you eat cabbage, do not be afraid to give your canine buddy some as well. The cabbage is a great healthy treat and your dog will most likely love it as well. Yes, dogs can eat any color and forms of cabbage. Preferably cooked cabbage, allowing the food to be easily digested by your dog. In terms of cabbage, any color is a good color. Cabbage is a healthy food not only for you but more importantly, for your furry pet as well. Sharing the benefits of cabbage is a good habit, when applicable. Your dog may be the only willing taker of the veggie when offered, but rest assured, your dog will benefit! 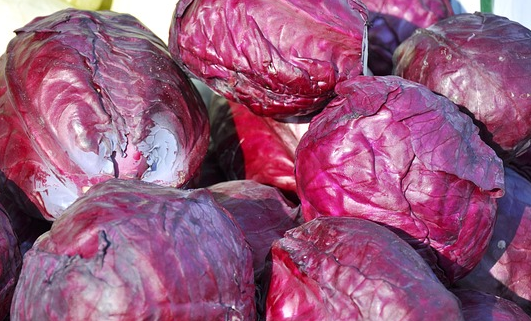 Your pet can benefit from all of the amazing compounds cabbage has to offer. Cabbage is an ideal source of important vitamins such as K, C, B6, B1, healthy fiber and essential minerals including manganese, potassium, and copper. With all of these wonderful vitamins within a single food, why not capitalize on all of that goodness and eat the veggies more often? And share with your prized pet! If you are too busy preparing cabbage for your furry buddy, check out [easyazon_link identifier=”B00A8O8NSY” locale=”US” tag=”frtp-20″]this dog food base mix[/easyazon_link] that contains cabbage, peas potatoes, coconut, spinach, pumpkin, and apples. You just need to add meat and water. Cabbage incorporates high levels of powerful antioxidant compounds – phytonutrients. Its high levels of polyphenols make it the top cruciferous veggie regarding antioxidant compounds. Thus, cabbage intake supports the overall health of your canine buddy, while also boosting its immunity and preventing oxidative stress from becoming a problem. Additionally, these powerful antioxidants will contribute to reducing the risk of your dog developing a range of harsh diseases including a heart condition. Antioxidant compounds are extremely important in the diet of yourself and your pet. The amazing benefits of the antioxidant offers you both the added protection needed when hoping to fend off potential sickness and stressors. Cabbage presents a wide range of nutrients that are increasingly beneficial in supporting the right functioning of the digestive tract. Nutrients such as glucosinolates, antioxidant polyphenols, and amino acids play an important role in regulating a proper digestion. 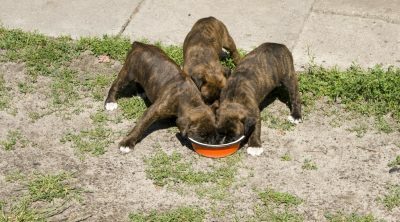 Digestion aids in the overall health and wellness of humans as well as dogs, and this factor needs to be considered when determining the source of sickness and disease. Many are jumping on the digestive tract trends and caring for their guts, why not include your dog and add to their health as well? Cabbage is an easy and tasty way in which to fight bad gut bacteria healthfully. 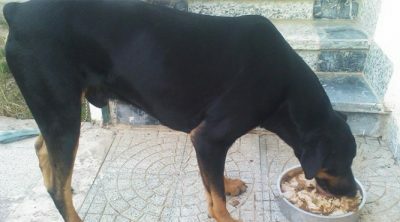 Raw vegetables as well as cooked ones should be given to dogs only in moderation. As in most words of advice, everything is good, but in moderation. Moderation is key; otherwise, your canine pals will experience upset stomach and diarrhea. Additionally, large amounts of veggie consumption will affect your dog’s digestive system and leads to bloating and excess gas. While working to aid in the digestive system of your dog, you do not wish to harm your dog’s digestive system in the process. 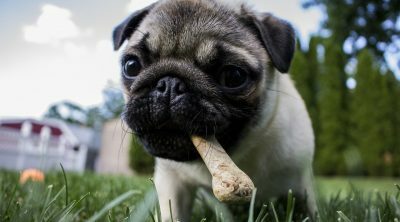 Upsetting the natural balance of your dog’s system may be more trouble than it’s worth and turn you both off of cabbage. While you can not anticipate your dog’s reaction to the new ingredient and to each new food offered, it’s better to be cautious to lower the odds of possible health problems. 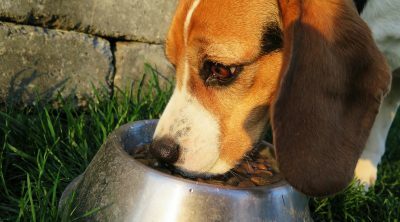 Thus, whenever you introduce a new ingredient into your dog’s diet, pay attention to his reaction to the new food. Watch out for any signs of stomach ache or watery stool. Keep an eye on your dog for any behavior changes or notable discomforts. In the event you notice a change, consult your local vet and work through the system list with him/her to determine if there is risk for any harm. Consulting with your vet before offering cabbage to your dog is the safest advice for preventing any potential adverse reactions. While you may feed either raw or cooked cabbage to your pet, the raw cabbage encompasses a certain compound named thiocyanate, which has harmful effects on your dog’s thyroid gland. If given raw cabbage on a regular basis and in large amounts, it may trigger hyperthyroidism. Raw foods are generally not the best type of food to offer your dog. Cookign the food allows the veggie to be easily chewed, swallowed, and digested without complications. Cooking also release any potential toxins or chemicals that may be in place from the original farm in which the cabbage was grown. Harmful effects on the dog’s thyroid gland should not be a problem if you cook the cabbage and feed it in moderation as a behavioral treat. 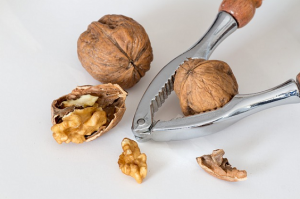 The cooking process deactivates this compound’s harmful effect. However, make sure not to add any salt or pepper to the cabbage leaves. Plain slightly cooked cabbage is best for dogs. Adding salt may increase the flavor for you, but in the best interest of your dog, never add salt to their diet as you can increase the risk of poisoning due to over consumption. While the cabbage you get from the stores is most likely clean already since outer leaves protect it, it is still recommended to wash it before preparing it. You might find tiny insects hiding among the leaves. Cut and rinse out the cabbage right before cooking it. The proper preparation of the cabbage will preserve its amazing health benefits. A study that compared steamed cabbage with microwave cooked cabbage indicated that 2 minutes of microwave cooking lead to the destruction of the most beneficial enzymes this veggie embodies. Consequently, it is best to steam the cabbage before feeding it to your furry pet if you wish to preserve its large vitamin intake and beneficial health properties. 7 minutes is enough to cook the cabbage. This way the cabbage will also stay crunchy and moist which makes it perfect for your pet to enjoy. It’s best to serve cabbage as an additional element to your dog’s meal. Chop and cook a little cabbage and sprinkle on top of his normal bowl of wet or dry dog food. So, as you can see, sharing cabbage with your furry pet is a positive idea. 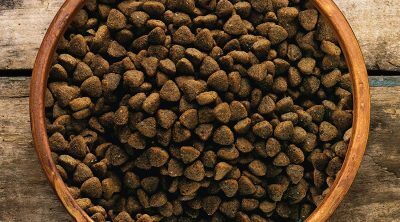 It is a great vegetable that embodies a wide range of health properties your canine buddy can genuinely take advantage of. 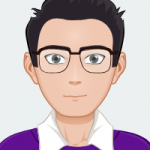 However, moderation is the key preventing possible problems from occurring. Also, pay special attention when introducing it into your pet’s diet.